Our Aestheticians have a passion to help others reach their personal skin goals and overcome their skin challenges. Their approach to healthy skin care focuses on a continuum of pre-treating, post-treating, preventing, and preserving. They address their approach through use of topical anti-oxidants, AHAs, BHAs, retinols, and SPFs, as well as educating clients on the importance of at-home maintenance. They are knowledgeable on a variety of in-office treatments and topical products to address a broad range of skin types and skin conditions. To schedule an aesthetic treatment or for aesthetic inquiries call 763-416-2385 (Maple Grove) or 952-934-7336 (Eden Prairie). Provides services at our Maple Grove Clinic Mondays-Thursdays. Allison Surma has been with Associated Skin Care Specialists since November 2013. After obtaining her Bachelor of Arts degree in Journalism at the University of Minnesota, Allison pursued her interest in makeup by attending Makeup Designory in Burbank, CA. She then graduated from the aesthetics program at the Aveda Institute in Minneapolis in October 2004. Allison has worked as an aesthetician and makeup artist for more than 11 years. 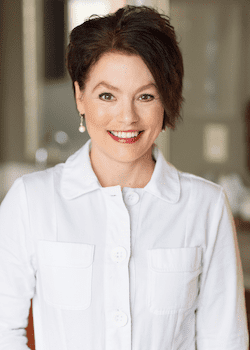 She has taken advanced education courses at the International Dermal Institute in Minneapolis and continues to attend advanced training seminars. Allison is passionate about skin care and her favorite part of her job is helping patients make significant, positive changes in their skin by designing customized aesthetic treatment plans and skin care regimens for their skin type. Provides services at our Eden Prairie Clinic Mondays-Fridays. Kelly Haege, LPN, is the cosmetic coordinator at our Eden Prairie location. Kelly graduated from Hennepin Technical College in the spring of 2001, earning her licensed practical nursing degree. She began work at Associated Skin Care Specialists shortly after graduation. Her focus was in medical and surgical dermatology. Kelly enjoyed the challenge of mastering the field of dermatologic nursing. In addition to learning about numerous skin conditions, she also increased her knowledge of anatomy from her work assisting in Mohs micrographic surgery. As Kelly’s family grew to three children, she and her husband made the decision to have her step away temporarily from her post at Associated Skin Care Specialists to care for her children. With her youngest daughter in school, Kelly was able to return to the work she loved in 2012. Since her return, Kelly continues to work in medical and surgical dermatology. In addition, she has expanded her practice to cosmetic dermatology. Through continuing education, Kelly has attended numerous specialized training programs focusing on aesthetic treatments and products. She earned her advanced laser certification in 2016. Kelly enjoys the challenge of creating personalized cosmetic strategies for her patients. 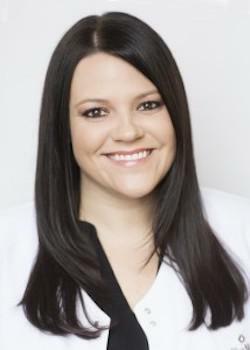 In combining skin care products and a variety of aesthetic procedures, Kelly is able to help her patients realize the best versions of themselves.